Poultry farming is one of the most important farming in Nigeria because it provides employments for job seekers and thereby creating a great business opportunity for entrepreneurs and a good poultry farmer can earn over N20 million in a year. Poultry farming has lots of benefit when compared to other agricultural practices and that is why a good poultry farmer like I said earn over 20 million yearly just from poultry production in Nigeria but this profit depends on the capital you start with. Building – This is another key are in poultry farming, the house for your poultry birds must be well constructed in a way that the ventilation can be controlled. With our updated Poultry farming feasibility study business plan which is full of helpful and industry secrets will make your Poultry Business succeed. Are you looking for how to get a complete, recent and up-to-date Poultry farming Business Plan and feasibility study look no further because we got you cover with our complete, updated MS Word and document Poultry Farming Business Plan & Feasibility Study. In our Poultry farming Business Plan we will explore ideas on all that is involved in this business. Day Old Chicks, Farm Management, Brooding, Housing, Feeders, Feeding, Lighting, Litter, Drinkers, Vaccination, Fumigation And Spraying, Farm Equipment, Manpower Requirements, Land & Building, Infrastructure Requirement, Recommended Mode For Acquiring Land,Suitable Locations, Financial Analysis Profit Projection For 4,000 Layers. Our sample Poultry Farming Business Plan in Nigeria can be used to access bank loans, proposal writing and grant applications. The business plan was complied after a thorough feasibility study on Poultry Farming in Nigeria was done. 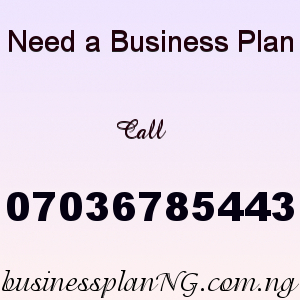 After you have made payment for your Poultry Farming Business Plan In Nigeria & Manual, send your email and payment details to 07036785443.